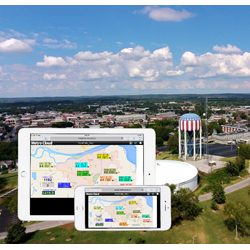 MetroCloud provides cost-saving benefits for commercial, industrial and municipal customers looking to inexpensively and reliably monitor their equipment. This cloud-based SCADA system uses a cloud infrastructure hosted from secure third-party suppliers. It offers complete and reliable cloud infrastructure with 99.9% uptime and multiple server configuration separated geographically in fault-redundant zones.